Some of the best spray tans can be ruined before you leave your appointment. This can happen simply by just putting your clothes back on or even by something natural as sweating. The last thing someone wants after getting a spray tan is to have unwanted discoloration marks or tan lines. This can happen by not wearing loose enough fitting clothes or the wrong type of fabric. It can also happen just by your body sweating. Either way, you should be able to have a perfect spray tan every time. The application of drying powder can put all these fears aside. Drying powder is a talc-free powder that helps prevent the spray tan from getting a negative effect. 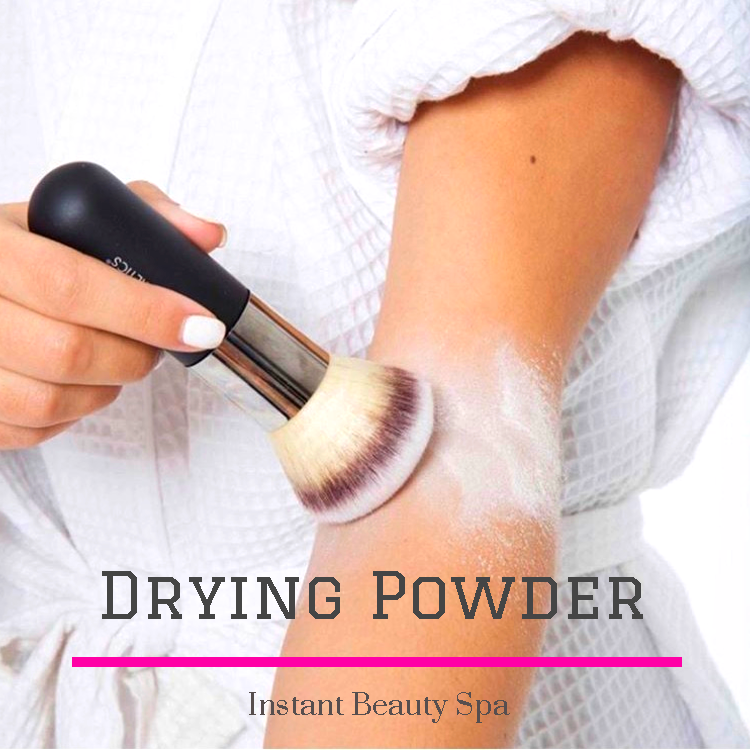 The most common areas that the drying powder should be applied to involves the armpits, underneath the breasts, behind the knees and in the creases of the arms. The application of drying powder after your spray tan, also stops any sticky feeling that can occur.